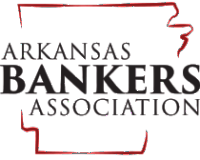 The Economics Arkansas Foundation is building a network of CPAs, attorneys and investment professionals around the state who can assist in helping donors plan charitable gifts to Economics Arkansas. All advisors currently in our network can be found here. There are a number of ways your clients can give to the Foundation. For information and examples of such avenues, please click here. Disclaimer: The information on this website is not intended as legal or tax advice; please consult professionals in these areas.